36 J/24 teams have taken to the waters that will play host to the upcoming 2011 World Championship for the annual Buenos Aires Race Week, hosted by the Yacht Club Argentino. Conditions have been perfect for the racers so far, with winds from 18-28 knots. 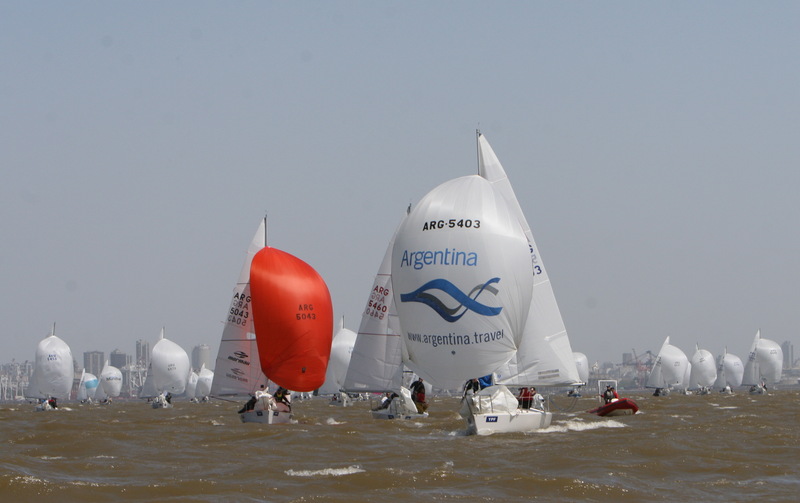 Local sailor, Alejandro Rossi, at the helm of Shark has taken the early lead in the series after four races, but is currently tied on points with Francisco Campero and his Audi team.